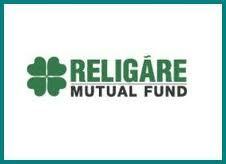 Religare Mutual Fund has opened the New Fund Offer (NFO) Religare Fixed Maturity Plan - Series IV - Plan A to F - Plan D (13 months), a close-ended debt scheme. The NFO opens for subscription on November 26, 2010 and closes on December 9, 2010. No entry and exit load is applicable. The tenure of the scheme has been fixed as 13 months from the date of allotment.